Hello! 2017 is over, so like everyone else on the internet, it’s time for me to do a “Top X Y’s of 2017” list. Video games seemed fitting this year, because 2017 was like the best year for video games ever. And I chose to do 7 because 17 is way too many and 10 is too mainstream. If you’re new here, how I do my year-end lists is different from most. In the case of video games specifically, I don’t choose from games released in the year, but rather from the pool of games that I’ve beaten during the year (that said, 5 out of 7 are 2017 games). This is partially because I split my time fairly evenly between new releases and retro games, and partially because I like to go against the grain. Also, games that I’ve beaten before are excluded (or else the list would just be Mega Man X and Shovel Knight over and over). Preamble complete! Back to adventure! …I mean, article! This is easily the one that sticks out as the weirdest of the group. An action-heavy road-trip rogue-like? Actually, it may even stick out as one of the weirdest video games period. Or maybe not, because there’s all sorts of insane junk on Steam these days. More to the point, Death Road to Canada is about, well, a road-trip to Canada in a world where zombies have taken over. Maybe not the most compelling or unique tale, but that’s not the real meat of the game. During your travels, you will have to stop off at various locations, like abandoned apartment buildings and grocery stores. Here, you will face down endless hordes of zombies while searching high and low for supplies. You’ll be able to use nearly anything you find as a weapon, and sometimes you’ll even pick up other survivors to join your pilgrimage. That’s nothing especially new; in fact it feels a lot like a 2D version of Dead Rising. What sets Death Road apart is the RPG bits in between action sequences. It works almost like a choose-your-own-adventure, in that you’ll be given random events along the road. Maybe you run into a band of thieves, maybe one of your party stumbles across an angry moose, maybe you decide to stop off at a mini-golf course. Often, you’re given a choice of how to deal with these situations, and depending on your choices, you could end up with extra supplies, or someone leaves the group because they were blamed for a particularly nasty fart, or your entire team ends up dead in a flaming car wreck. These events give the game a very unique flavour, especially since all the while, your band of travellers will be making snarky comments to and about each other. There are so many variables at work in Death Road to Canada, so many events, weapons, game modes, weird random jokes and randomly-generated characters, that you could play it for weeks upon weeks and not see everything. The amount of content is only made that much sweeter by the fact that the game is always fun. Smacking up zombies and finding treasure is always a great time, even when you’re under pressure by a particularly thick horde or a looming nightfall. Survival in the face of impossible odds is the greatest feeling, and what’s even better is that there’s a two-player cooperative mode that lets you and a friend tackle the trip to the Canadian border together. How did Super Mario Odyssey, possibly my most hotly anticipated video game of 2017, end up only at number six? To be fair, it was nearly impossible to actually rank these last seven games, but what set them apart is that every game that ranked higher made me feel something. They hit nerves, toyed with my emotions, frustrated me the best ways, and truly absorbed me. The only thing that I felt throughout Odyssey was “WHEE! I’M HAVIN’ A GREAT TIME!” Which is still great, of course, but it probably won’t really register as an especially strong memory for me. That said, if I were ranking the games completely objectively, I’d likely slot in Mario at #2, so. Let’s start again. Super Mario Odyssey is amazeballs. I don’t like to use that word, but I literally can’t think of anything else that quite perfectly describes how excellent this game is. It is the purest example of what I think a video game can and should be. 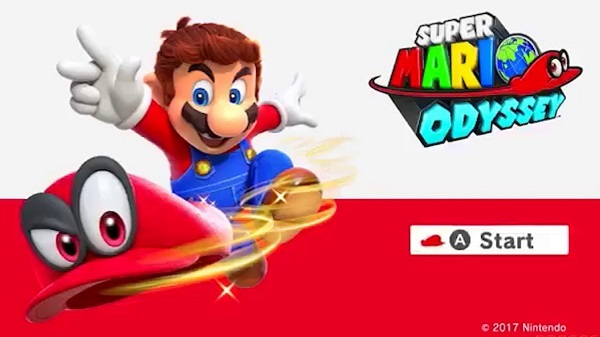 It’s a massive, glorious adventure into worlds that toys with your preconceptions of what Mario levels should be and what kinds of challenges you’ll face in said levels, and it never stops being fun. It never stops being suprising and exciting, and I absolutely cannot wait for the inevitable DLC kingdoms. I think the most important aspect of the game’s appeal is its unexpected simplicity. And to that end, I would like to direct you to the video at this link. It is a wonderful analysis of Super Mario Odyssey’s mechanics, and how even though they are simple, they can lead to endless possibilities and countless hours of fun. Go on, drink the Kool-Aid. If Super Mario Odyssey fell behind the rest of the pack because it “only” made me feel pure elation, Resident Evil 7 edged it out because it made me feel absolute terror. It made me feel some other things too, like complete despair and a desperate need for more hours in the day, but mostly just the terror. To properly describe that, we need to start at the very start. Specifically, the initial reveal of the new gameplay style. After the mostly despised Resident Evil 6, Capcom had to seriously re-think what they would do with the main series going forward. Their solution was to dial it back to a smaller-scale story, focus more on horror than action, and put the player in a first-person perspective. I was highly wary of this at first, but it turned out for the best in all the ways. I absolutely consider RE7 to be up there with RE2 and RE4 as one of the best games in the series. I’ve written about this game several times before, but I guess it’s worth summing up again. RE7 is a horror masterpiece. Most of the game is spent quietly sneaking around spooky environments, hoping that monsters aren’t going to pop out and murder you. They inevitably do, and it’s much, much worse when those monsters are replaced by stalkers who will relentlessly prowl around, looking to find and kill you. The story is much smaller in scope than the last few main games, putting you in the shoes of a man looking for his assumed-dead wife in a creepy swamp mansion. Of course, there’s more to it than that, and the fun twists and reveals are very impactful, and very much in the classic Resident Evil style. I also want to make a small mention that RE7 has some of the best DLC I’ve paid for. 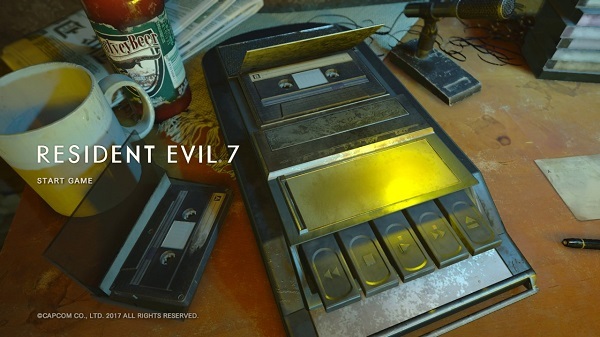 The two “banned footage” packs contain alternate game modes like an escape room and an ultra-hard remix of the Baker mansion. I haven’t played the second pack yet, but I got a real kick out of the first one. Two new story episodes were released right at the end of the year, and I haven’t made time to play them (or even room on my PS4 to download them), but one stars the one and only Chris Redfield, so I’m very eager to give it a go in 2018. Honestly it was an incredibly difficult choice whether to include this or Hollow Knight as the 2D platformer on the list. They both really deserve it, but I am biased toward run-and-gun action. If this were a Top 8 list, however, rest assured that the extra spot would belong to Hollow Knight. 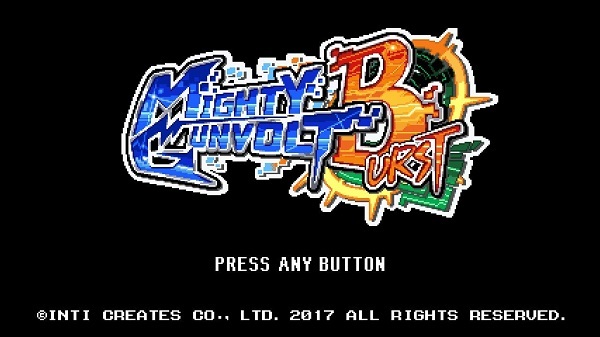 Like Mighty Gunvolt Burst, 2016’s DOOM washed over me like a wonderful wave of nostalgia; a terrific modernization of a classic franchise. Both are shooters -albeit of a different perspective- that build on their inspirations, though their modern incarnations couldn’t be more different. 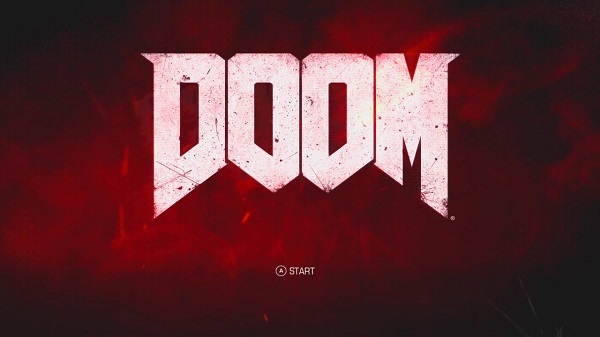 While IntiCreates took the retraux road, Bethesda brought DOOM fully into the current generation of gaming with all the fancy bells and whistles. But bells and whistles are where the upgrades ended. Sure, the game looks gorgeous, gives you permanent power-ups, is rendered in full 3D and has all sorts of nonsensical DLC packages, but at its core, DOOM is still DOOM. It is pure and simple, unlike the vast majority of modern shooters. You won’t see any cover mechanics or regenerating health or annoying attempts at realism here. Doomguy can carry all of his guns at once, and never has to reload. Doomguy jumps like a video game character and can clamber up ledges. Doomguy can collect crazy powerups like Berserk, which imbues him with the strength to smash even the largest monsters to giblets with just his fists. It is my perfectly idealized first-person shooter. I think that what really sold me on DOOM, however, is that as much as it feels like classic DOOM, it also feels strangely reminiscent of Metroid Prime. The game is segmented into stages, but each one is a massive area full of secrets that can be freely explored. There is a ton of verticality in every level, which I think is what really makes it feel like Metroid; you’ll be hitting the jump button just as often as the shoot button. Combat isn’t about hiding behind cover and taking careful potshots. You need to constantly be moving, because the enemies will follow you relentlessly and trying to hide will only get you pinned down and killed. Fighting is fast and active; every encounter is legitimately thrilling, and there is a very real threat of being killed at all times. It’s just got a really nice flow that Call of Duty and Halo have never nailed. Literally the only thing that I didn’t like about DOOM was the bosses. While they are a tick above classic DOOM bosses, they still brought the game’s pace to a screeching halt by being significantly harder than anything else the game throws at you. But everything else was perfect! The lightning-fast combat, the focus on exploration, the adrenaline-pumping glory kill system, the sweet weapon modifications, and let’s not forget the bumpin’ death metal soundtrack! Yes, DOOM was a very strong contender for the #1 spot on this list, and I thoroughly regret having waited so long to play it. I’m not really sure where to start here. I think we all know by now that the original NieR is one of my favourite games ever, on the strength of its characters, narrative, and soundtrack. The gameplay is all about deconstructing video game tropes, and the true ending contains a twist that you just don’t see in mainstream games (or any games that aren’t NieR, for that matter). I went into NieR: Automata expecting more of the same, and I was not disappointed. It started up with a world that prompted so many questions; the far future of Earth where the last remaining humans live on the moon while their android army battles the mechanical forces of alien invaders back on the planet. Only, after a few hours, you start to wonder why you never see any humans or aliens. 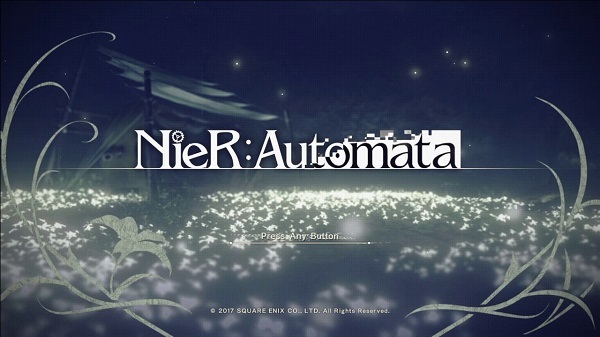 It’s a typical Yoko Taro game, with plenty of haunting themes and so many events that exist just to punch you in the gut and break your heart. It’s an examination of the nature of people and why we’re so friggin’ obsessed with violence and war. My advice to any considering playing this game is to not get too attached to any of the characters. Especially not any of the more immediately lovable ones. Like NieR before it, Automata likes to toy with genre and perspective, but not nearly as much as the original game did. There’s no top-down Diablo-style level. There’s no text adventure segment to the game. Fishing is significantly less complicated and not at all important to your quest. But by focusing on two genres (third-person action and shoot-em-up), Platinum was able to polish up the gameplay to a level far surpassing that of the first game. That and it’s really nice to see those two particular genres mashed up, as it’s a very uncommon combination in our modern world of genre-bending indie games. The dappled-in RPG elements are a nice touch, too, as the androids’ chip system makes way more sense that Nier’s word system ever did. I just wish that they hadn’t felt the need to make it more like Dark Souls by having to recover your body if you get killed. What separates it from the original NieR and its sister series, the Drakengard games, is that it actually isn’t completely hopeless. After all those hours, when I finally finished Ending E, I found myself tearing up in joy, at the beauty of what was happening on screen in from of me. And that song, Weight of the World; I still get a little misty-eyed when I listen to the “complete” version, and I listen to it quite a lot. The soundtrack in general is just phenomenal. The original NieR’s soundtrack might be one of the very best in video games, and Automata’s is absolutely up there too. It’s maybe not quite as good, but it’s still unbelievable. There is so much feeling baked into every track, and you really just don’t get music like this in… anything, really. Of course it’s the new Zelda game. I mean, come on now. What really makes Breath of the Wild extra special is that it’s probably the first game since Xenoblade Chronicles X that I’ve really gotten lost in. Like, the “I came home every day and just played until I fell asleep” kind of lost in it. It was my second life for a solid month, and continues to be something that I think about even when I haven’t picked it up in a while. It wasn’t until only a couple weeks ago that I started hearing that a lot of folks, even fellow Nintendo fanboys, aren’t too keen on the game. And, you know, I get it. I really do. It’s so vastly different from every other Zelda game (except maybe the first) that I can see why people wouldn’t dig it. But I really, really do. I love that openness, that lack of direction. 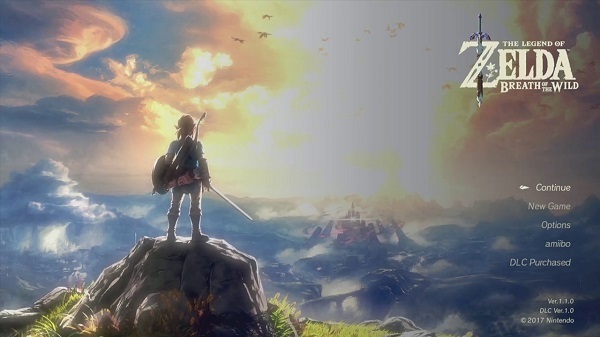 Zelda games have been so linear for years now that it’s nice to finally have a game that absolutely feels like Zelda, but lets you do whatever you want whenever you want. I think what really seals it for me is that I can just enjoy the world for itself more than most other video game enthusiasts. I don’t need a little trinket as a reward every few steps. For me, the importance of the journey far outweighs whatever is at the destination. The vast world is only the main draw, though. All the little things within it are gravy. Fighting monsters is always fun and varied because your stock of weapons is constantly changing. The shrines are almost all very fun little things to find and solve (but the motion-control shrines can frig right off). The divine beasts are shorter than the more complex dungeons of games past, but I found them to be very cool little jungle gyms to play around in. Truth be told though, I still haven’t even beaten them all. Towns mean more than ever now that there are real sidequests and shopping is a much bigger part of the game. And honestly, just poring over the in-game map to try to find all the little references and cool geography is like a smaller game unto itself. If there is one thing that I could change about Breath of the Wild, I think I’d like for there to be just a little more randomness to it. Like in Skyrim, how a dragon can come out of nowhere to wreck your day. I’m not asking for a lot, just a little something so that even once you’ve spent your entire life exploring every nook and cranny of Hyrule, there’s still something that can surprise you once in a while. Though I think that may be exactly what Master Mode is for. I still haven’t given it a try. Breath of the Wild isn’t perfect. Of course not. But it’s easily the most impactful game that I’ve played all year. Some day, when there aren’t five billion other games to play, I really hope to finally get back into it and check out all the DLC. I hear that the extra story content is really quite good. Maybe that’ll be my game of the year for 2018.